Great support! I promptly respond to any questions or feedback you may have. If you haven't purchased the app already, there is a free/lite version available for you to try it out, risk free. After installing the application, view the sample "Introduction" deck to get familiar with the application. Spreadsheet : column 1 = question (side 1), column 2 = answer (side 2). Each row is a new card. 3) Enter a "Deck Code", which is way to identify and find your cards from your device. 3) Enter a "Deck Name" and tap "Create Deck"
5) Tap the 1st empty row to start editing side 1, enter text. Tap Next, enter side 2, then Done. 6) Tap the top left button (Cards) to back up to the card list screen. When using Google Drive, create a folder called "Flashcards Deluxe", create a spreadsheet in this folder, and add your flashcard text into the spreadsheet. See Import Format.xlsx on how to fill out the spreadsheet. To add your new deck in the app, at the main Decks screen, tap +, Google Drive, enter your login info, and you should see the list of spreadsheets in your "Flashcards Deluxe" folder available for download. If you have pictures or sound files, you can put them in a folder on Google Drive. If your spreadsheet is called "Spanish 1", create a collection at the same level called "Spanish 1 Media". Any picture/sound file names you specify in your text can now be found. Dropbox is a free service that allows you to store your files online. By installing their client on your PC/Mac, Dropbox will create a special folder on your local hard drive and keep this folder in-sync with their online data. So, instead of dealing with files though a web-browser, you use Windows Explorer or Finder (Mac). 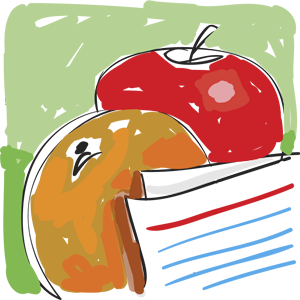 Within Flashcards Deluxe app, tap +, Dropbox to login to Dropbox. A "Flashcards Deluxe" folder will be created inside either "/Dropbox/Apps/" or "/Dropbox/" directory, depending on which option you used to log in. Inside the "Flashcards Deluxe" folder, create an .xlsx or .txt file with your flashcard text. After saving, Dropbox will automatically sync this file to their servers. From within the app, you can add this new deck using the "Dropbox" option. You can import both .xlsx and .txt files. 1) Save file in /Flashcards Deluxe/ folder in Dropbox. 2) In the app, tap +, Dropbox to download. If you create your flashcards using Excel, save as a .xlsx file and the app can read this directly. Some formatting, such as bold, italics and text color, will also get imported. After you’ve created your text (either in a word processor or spreadsheet), you can copy-paste this into a .txt file and save in the Flashcards Deluxe folder. 1) If your text uses special characters (like for Greek or Asian languages), then you’ll need to save your text with either UTF8 or Unicode encoding. Both Notepad (PC) and TextEdit (Mac) have these options when saving. Put your pictures and sound files in a folder on Dropbox. If your text file is "Spanish 1.txt", create a folder in the same directory called "Spanish 1 Media". (Remove ".txt" and add " Media") Any picture/sound file names you specify in your text or Excel file can now be found. You can import text-only flashcards using a USB cable. 4) Scroll down to the "File Sharing" section and click "Flashcards"
6) After the file is transferred, go into the app and tap "+" at the Decks screen. The deck should then be created. 3) Copy the .txt file to this "files" directory. 4) After the file is transferred, go into the app and tap "+" at the Decks screen. The deck should then be created. How do I share flashcards with others? 2) Tap "Export / Share"
4) Enter a "Deck Code". This allows you to find your flashcards. Use a code that nobody else will. 5) If you have pictures to export, turn "Export Media Files" ON. 7) At the main screen, tap +, then "Private Deck"
5) Set options as desired. See help icon for help. 6) Tap "Send to Library"
7) At the main screen, tap +, then "Shared Library"
8) Tap "Search" to search by name or description, or optionally tap "Join Group" if deck is part of a group. 9) Once you've found the deck, tap "Download"
How do I transfer a deck from one device to another? How do I update an existing deck? Tapping "+" in the app will always create a new deck. To instead update an existing deck, tap "Edit", the deck, then "Download/Update". The app will re-download from the original source. If using this website to transfer cards, I recommend uploading the complete updated set of cards and using the "Replace All Cards" option. So that statistics are maintained, the app will match up the old and new cards and copy the statistics forward. If you want to use an existing deck that someone has already made, you can search our "Shared Library" from within the app. If you have any questions or comments regarding this program, feel free to email me at et@OrangeOrApple.com, or use the "Feedback" page. The below information augments the in-app help and should give you a better understanding of how the app works. This website mainly exists so you can easily transfer your flashcards between your computer and your device. You will upload your flashcard data to this website, then download it from your device. You should consider this website as temporary storage for your data. As long as you keep a backup on your computer, re-transferring your text, pictures and sounds should be a very easy process if it becomes necessary. For private decks, picture and sound files may be deleted from this server after 20 days, and your text may be deleted after 40 days of no updates on the server. If you add new content within the app, please backup occationally. Note: If you use Excel with Dropbox, you can format in Excel as usual without the need for the below commands. The following Excel formatting is supported: bold, italics, underline, text color and super/subscript. New line: to create a new/blank line in the flashcard text, enter a "|" (pipe character) or use the <br> tag. Bullet points: Just copy this into your own text: • and use | (shift \) to create new lines. To add pictures from your PC/Mac, you include the file name of the picture/sound in the flashcard text, then in a separate process, upload the pictures/sounds to this web site. For details, see the section "Adding Pictures and Sounds" in Import Format.xlsx. If using Dropbox or Google Drive, see the corresponding section above under "Creating Your Own Decks". To add pictures from your device's photo library, or record your own voice, go to the card detail/edit screen in the app. If you have flashcards in another program or website, you can most likely transfer them over easily by exporting them to a tab delimited or CSV file. If you have any questions regarding this, please contact me and I'll try to help. SuperMemo: This page provides a tool to convert SuperMemo's Q&A format to a tab delimated format. The app contains a lot of in-app help. Look for a question mark (?) icon at the top for help related to the current screen you are viewing. The information on this website will generally augment the help found within the app. At the main screen, tap on a deck description and you will be put into study mode. Cards are shown in "rounds", which is basically one pass through the deck. The idea to be aware of is that, depending on the "Card Order" option, each round might not consist of all cards in the full deck. In this case, the program has selected a set of cards that it had determined you currently need practice on. In standard quiz mode, every card needs to be answered before moving to the next card. There is a "browse mode" that will allow you to skip through the deck without keeping score. Short Term Goal – focus is given on cards you don't know as well. To change this setting, tap the gear icon at the top of the *study screen* (not main screen) then tap "Card Order". While the first two settings are simple, you can read more about Short Term Goal and Spaced Repetition here. Cards in a deck can be divided into categories, which can provide a great way to break large amounts of cards into manageable study sets. You can assign categories when you create your card text by entering the category name in a "Category 1" column, as documented in Import Format.xlsx. You can also assign categories within the application. To select which categories you want to study, enter the "Deck Options" page, and tap "Cards to Study". If you make changes to your cards on your device, you'll probably want to backup your changes periodically. To do this, tap Edit at the main screen, tap your deck, then tap Export. Exporting to "App Server" will upload your flashcards back to this server. Next, go to the "Export" page on this website, which will allow you to download your flashcards from this server back to your own computer. This app works best when you have a single master version, either on your device or on your computer. There is no mechanism to "merge" changes from both sides, so you'll need to handle this. Transfering flashcards between the app and your PC is fairly simple. If you make only few changes within the app, one approach is to "flag" these updated cards so you can later make the same change to your computer's master list. To update an existing deck, within the app tap "Edit", the deck, then "Download". You can then either append new data or completely replace all cards. If you replace all cards, statistics will carried forward as long as the app can find a partial match between the old and new cards. See this page on how to apply multiple choice to only certain cards and not the whole deck. Copy/Move cards between decks: From the card listing screen, tap "Mode" to get started. Zoom into a picture by touch and holding picture. Loop a sound clip by touch and holding sound play button. View side 3 first by using the "Card Layout" setting. You can specify many deck specific options in your upload text. To see how this is done, make the setting within the app and export/email the deck to yourself. You'll see special header lines for these settings. When a card is shown that has too much text to fit on the screen, you will see a green down-arrow at the bottom. Touch and hold the text to enter text "zoom" mode so you can scroll up/down through the text. There is a setting which will allow you to scroll without going to zoom mode: see Global Options > Control and the help in that screen for more info. One way to share decks with others is by sending it to our "Shared Library". Shared decks are a copy of your private deck at the time you upload it to the library. To share a deck, tap "Edit" at the main screen, tap the deck, then "Share". You will need to enter a "User Name", which gives you rights to update and remove decks which you've shared. When exporting, if you include statistics you'll see an exported column which represents your statistical data for each card. This can be imported back into the app. Normally you don't need to concern yourself with the format, but if you'd like to manipulate it manually, see the Excel file Statistics Format.xls for details. I created a tool to convert Pinyin with tone numbers into tone marks. It also adds tone colors using html. Download In-App Help as an Excel file. Flashcards Deluxe, click the button above. Your added support is thoroughly appreciated!